I grew up in a family that LOVES birthdays. Seriously. Even on school days, my brothers and I always got breakfast in bed, followed by some kind of a sweet treat at school that our mom would ‘surprise’ us with and dinner at our favorite restaurant to top it off. Best day ever? I’d say so. Now that I live 7,000 miles from my parents, I have had to make my own birthday traditions. Don’t worry, this isn’t as sad as it sounds and it has involved numerous iterations of frozen goodness. 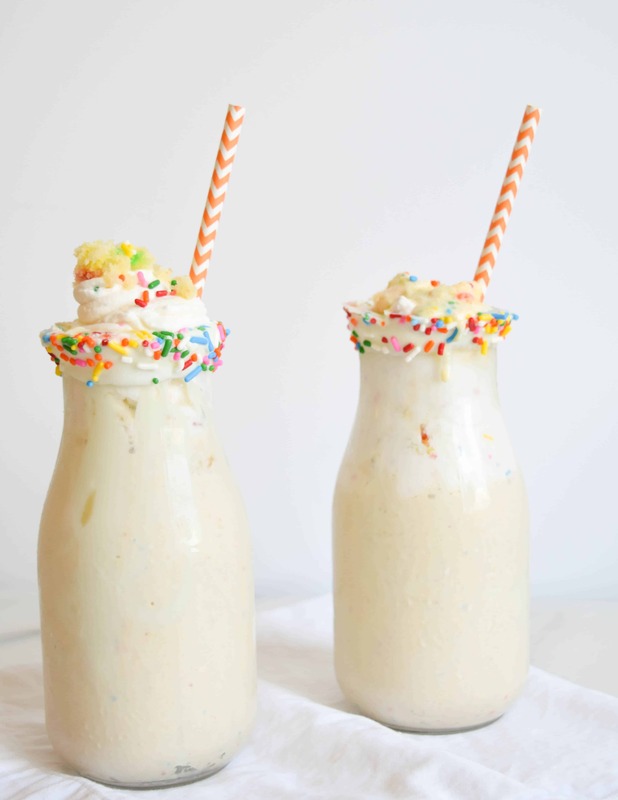 One of which, and my absolute favorite, is my birthday cake milkshake. Is there anything more satisfying than taking the first scoop from a fresh batch of homemade ice cream? 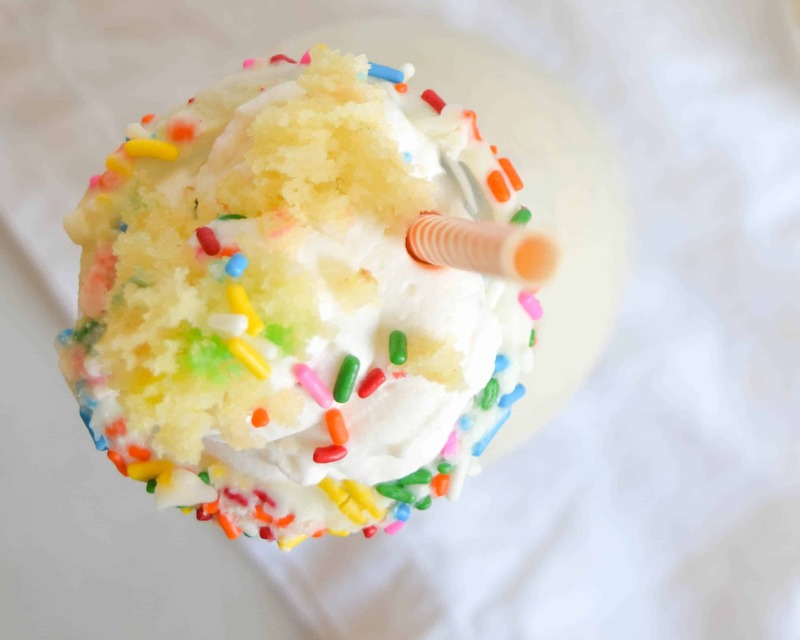 Let’s be real, nothing says birthday quite like sprinkles and ice cream so this milkshake has lots of both, especially the sprinkles. 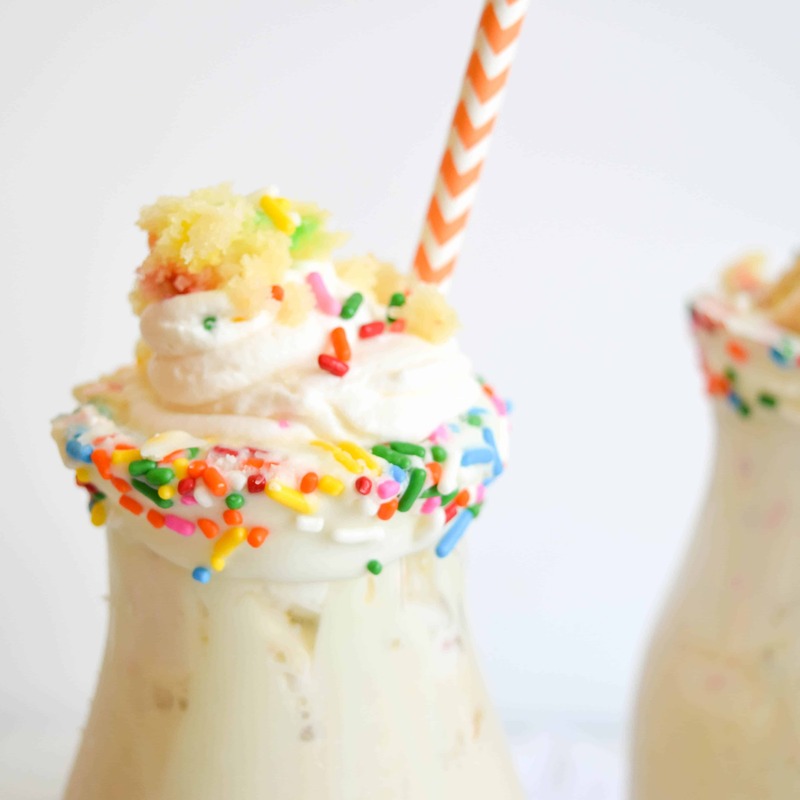 Since my birthday is just around the corner, I thought it was the perfect time to share my favorite birthday cake milkshake so y’all can make some at home and celebrate with me! While my kitchen is well stocked with an abundance of random kitchen appliances, I recognize that not everyone impulse shops at Bed, Bath & Beyond. 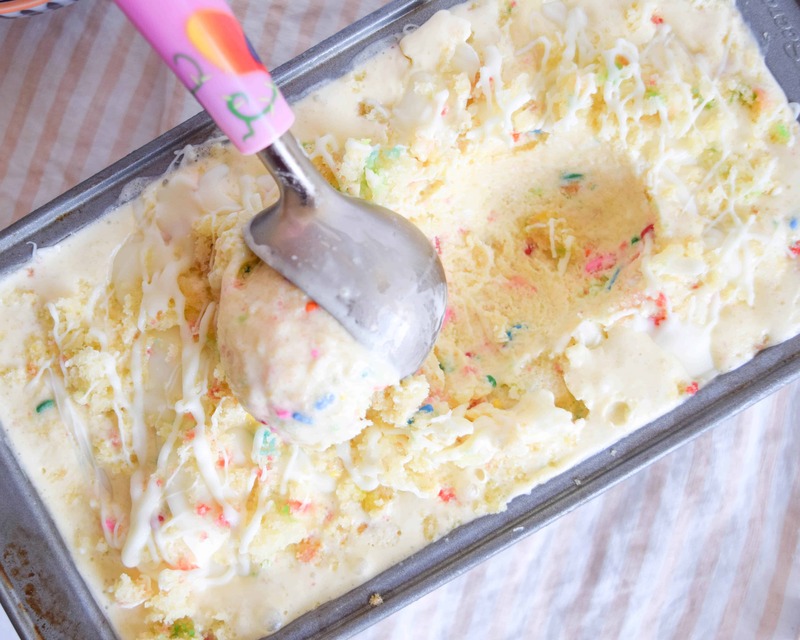 If you don’t have an ice cream machine and want to skip straight to the milkshake, pick up a pint of funfetti ice cream at the store. Trust me though, it is so worth making the fresh ice cream from scratch so borrow an ice cream machine from a friend in exchange for a scoop or two. You’ll thank me later and so will they. Confession time: I took a sip of one of the birthday cake milkshakes before starting to photograph them. And then I took another sip, followed by a few more. I absolutely love making food that looks and tastes amazing but I don’t have enough self control sometimes to spend 15 minutes photographing it before I get to dig in. If you follow food trends on Instagram, you may have noticed that outrageous milkshakes have taken off this past year. Never one to pass up on making my food look even more tempting and delicious, I’ve started experimenting with decorating different types of glass jars and jugs to use as milkshake vessels. My favorite way thus far? Dipping the rim of the glass in melted chocolate and then rolling in some element that mirrors the milkshake. In this case, that meant dipping the glass in white chocolate and rolling it in sprinkles! White chocolate tends to be more liquid than its dark counterpart so be patient when applying the sprinkles so that they don’t all drip away. A day before making the milkshakes, make the ice cream. Heat 1 cup of the milk and 1 ¾ cup of the heavy cream over medium heat in a saucepan. While it is heating up, vigorously whisk ¾ cup sugar and egg yolks together in a large bowl. When the milk and cream begins to simmer, temper into the yolk and sugar before returning to the saucepan and reducing the heat to medium low. Whisk continuously until the custard reaches a temperature of 160 degrees. This makes the eggs safe to eat. It’s important to whisk so that the ice cream doesn’t become scrambled eggs. Pour into a clean bowl, cover and refrigerate until cool, about 8 hours or overnight. Once the custard is cool, churn in an ice cream machine according to manufacturer’s instructions. When there are about 5 minutes left to the churning, add all but 2 tablespoons of the funfetti cake, followed by ⅓ cup of the sprinkles and ⅓ cup of white chocolate chips. Freeze the ice cream while you get the glasses ready. Melt the remaining white chocolate chips and let cool. You want the chocolate to be liquid but not hot. This will make sure that your decorations stick. 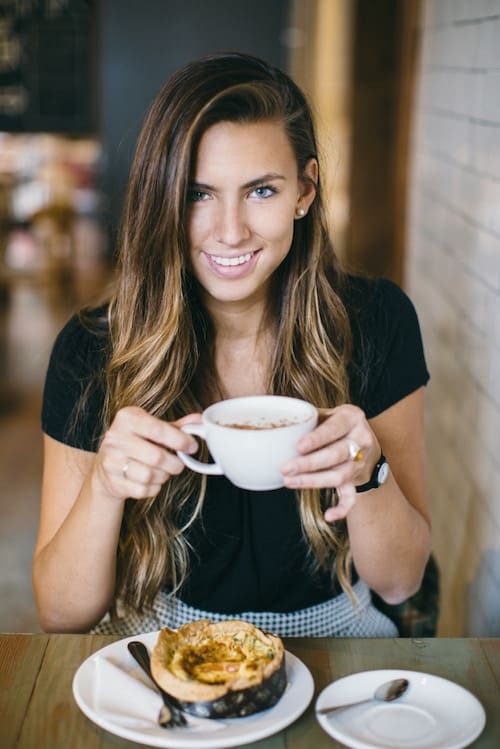 Dip the rim of the glasses into the chocolate and then apply sprinkles to the chocolate in sections, turning the glass as you apply them until all of the rim is covered. 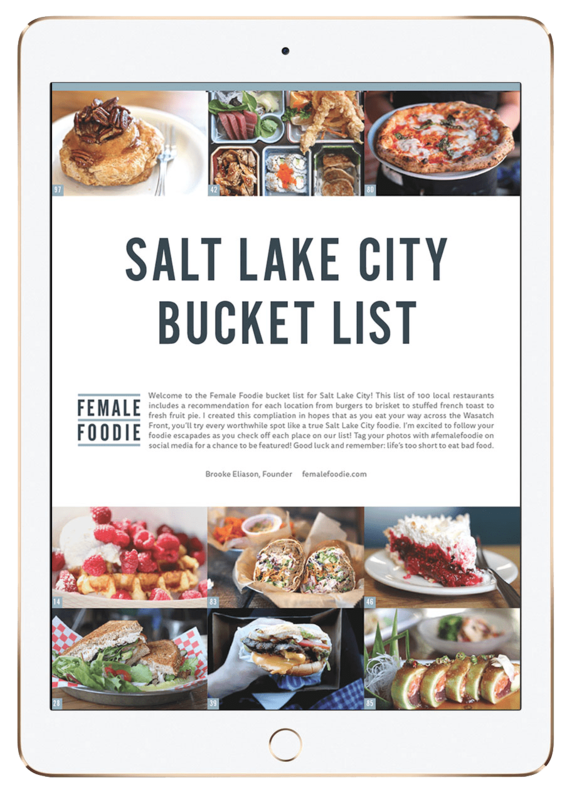 Place glass upside down on a parchment paper. Repeat with the second glass. Place glasses in the fridge until solid, about 15-20 minutes. Once ready to serve, add 5-6 scoops of ice cream to a blender with 1 cup of milk. Blend and divide among the prepared glasses. Mix remaining heavy cream and sugar as well as ⅓ cup sprinkles on high until stiff peaks form. 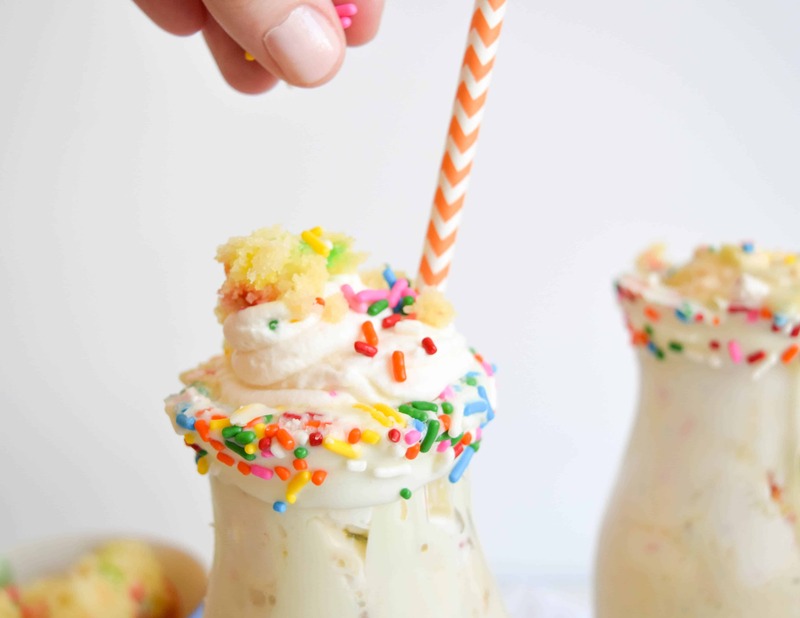 Top both milkshakes off with the sprinkle whipped cream, any remaining sprinkles and cake crumbles as well as white chocolate drizzles. Alternatively you can top with more ice cream. Enjoy immediately.